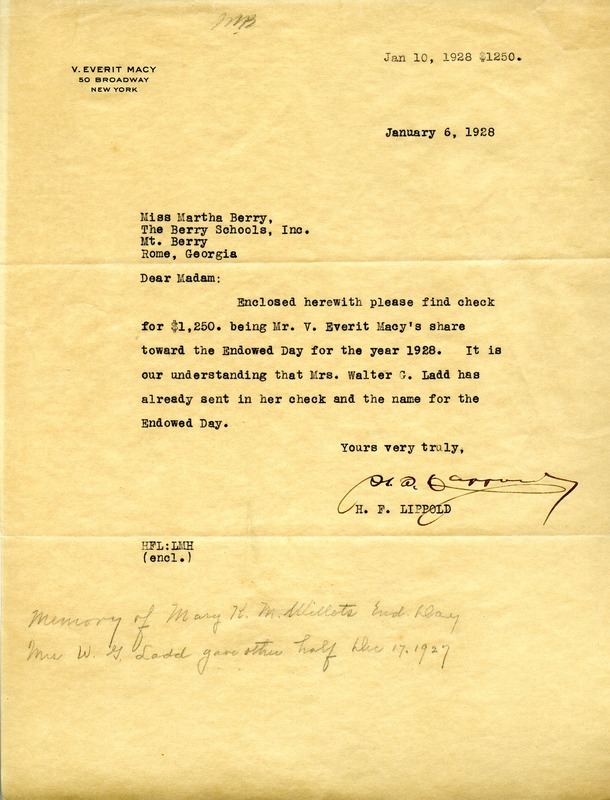 H. F. Lippold writes to Martha with a check of $1,250 from Mr. V. Everit Macy for Endowed Day. “Letter to Martha Berry from H. F. Lippold.” Martha Berry Digital Archive. Eds. Schlitz, Stephanie A., Aaron Jackson, et al. Mount Berry: Berry College, 2012. accessed April 26, 2019, https://mbda.berry.edu/items/show/8344.